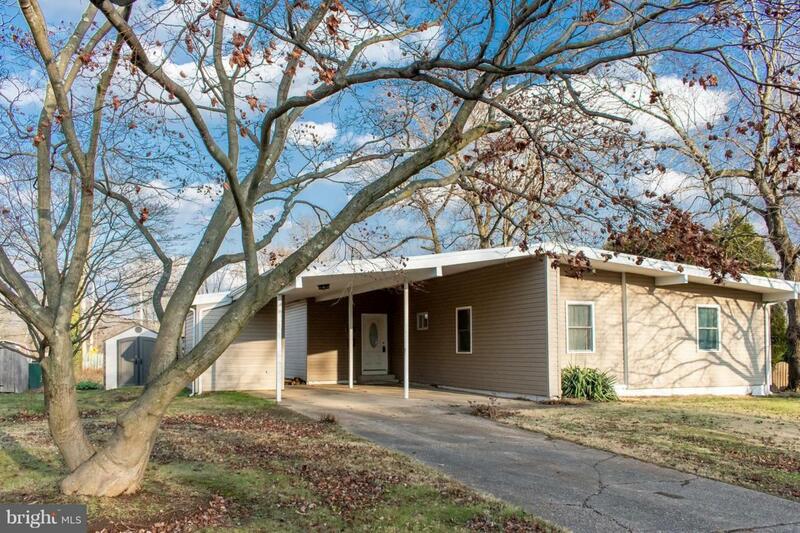 Mid-Century Modern Rambler Ranch with 21st Century Updates - this is One Floor Living at its finest! This desirable Green Acres home features 4 large bedrooms and 2 beautifully-tiled full baths including a master en suite, .35 acre lot with a ready-to-go veggie garden, and a open concept design throughout the main living areas. The open living space is perfect for entertaining or for just enjoying a cozy evening around the wood-burning fireplace. The kitchen features 42" white cabinetry with ample storage, granite counter tops, stainless steel appliances, and custom tile work. The property was fully renovated in 2017 with New Roofing, New Siding, New Windows, New HVAC, New Hardwood flooring, high-end renovations in the kitchen and bathrooms, and more!